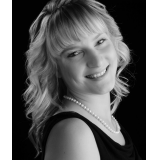 Alinka Rutkowska has created a tale that will appeal to children, which teaches about choices, and encourages communication and sharing. Rating: 5.0 stars from Readers’ Favorite Reviews. Embark on a one-of-a-kind, unprecedented, breathtaking adventure with Maya and Filippo as they travel around the globe on board the “Fun Princess” — a cruise ship full of surprises. Discover their fascinating ports of call, find out what the local customs and traditions are, join the kids in activities at sea, and explore the remarkable world they create through the power of their positive outlook. This time the kids spend a day on board the Fun Princess. They become junior chefs at sea and learn how to bake a cake. Maya and Filippo discover how trying out different recipes gets them closer to creating the perfect dessert. They also discover the power of sharing. 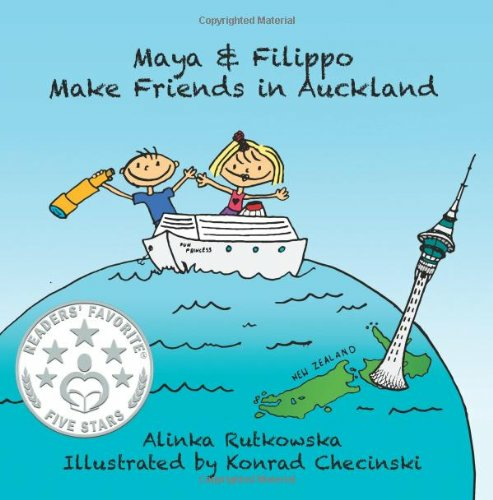 Five Star Reviews From "Readers’ Favorite"
From the front cover to the last page, children will delight in the almost childlike and always colorful and quirky illustrations that accompany Maya & Filippo Play Chef at Sea by Alinka Rutkowska. [...] The story of Maya and Filippo will excite the imagination of children who might wonder what it would be like to live at sea. Alinka Rutkowska takes children on just such a journey, providing them with some basic geographic information, some good advice about working in a kitchen and a valuable lesson about cooperation and communication. Numerous unspoken lessons that children can assimilate without direct instruction are presented in Maya and Filippo Play Chef at Sea. Experience is the best teacher and Maya and Filippo share their experiences with the reader so that the lessons they learn are simultaneously transmitted. With only limited input from adults, Maya and her brother, Filippo, are free to work out solutions to their issues and children can easily relate to their interactions. Just as with her other stories, Alinka Rutkowska has created a tale that will appeal to children, which teaches about choices, and encourages communication and sharing. One great thing about the Maya and Filippo books is that each story is fun, but there are some quickly slipped in lessons so that your own children are learning right along with the kids too. Kitchen safety, healthy snacking, washing your hands, and sharing are all very important lessons that can be taken from this book and applied to your own real life cooking with kids experience. I loved Maya and Filippo’s first adventure, so I was thrilled to find another book in the series and I snapped it up right away. The concept of having children travel the world is by no means unique, yet Alinka Rutkowska writes with such heart and joy that Maya and Filippo’s adventures make them stand out from the crowd and really excel at what counts, entertaining children.